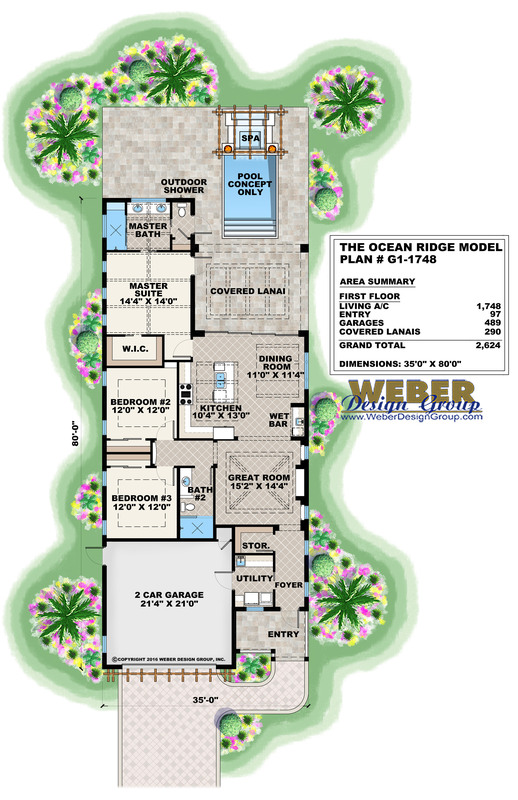 The Ocean Ridge model is a narrow lot house plan with a transitional West Indies style. The layout is an open-concept floor plan with great room, island kitchen and dinette that flow together nicely. A wall of pocketing sliding glass doors opens the living areas up even more for a seamless transition to the covered lanai and pool area beyond. 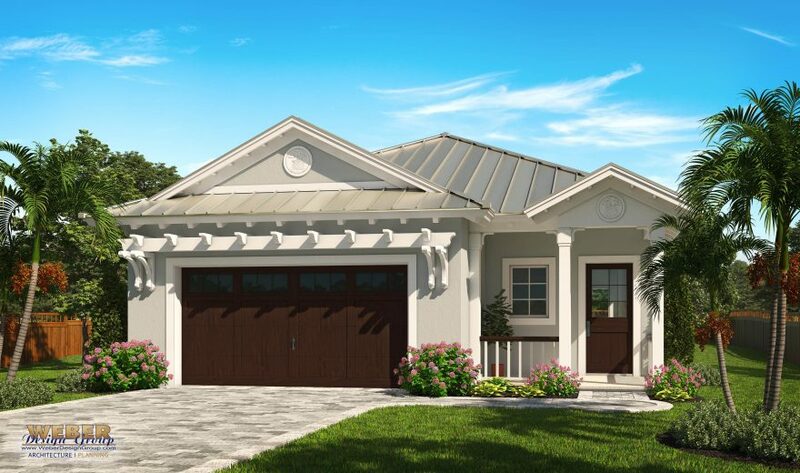 The home includes 3 bedrooms, 2 baths and a two car garage. Outdoors there is an outdoor shower and pool bath. This home is also included in the beach house plans, cottage house plans and craftsman style homes too.